You are here: Pediatric Imaging/Elaine N. Daniel, M.D. She is a graduate of the University of Pennsylvania School of Medicine, Philadelphia, PA. Dr. Daniel completed her residency training at the University of Washington School of of Medicine, Seattle, WA. She continued the next two years with fellowship training in pediatric radiology at Seattle Children’s Hospital and a second fellowship in MRI and body imaging at the University of Washington. Additionally, Dr. Daniel has attained a Certificate of Added Qualifications in Pediatric Radiology. 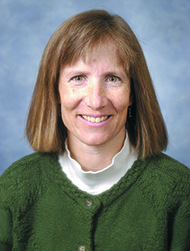 She joined Boise Radiology Group in 1996. When she is not chasing her twin daughters, Dr. Daniel enjoys hiking, biking, and skiing.